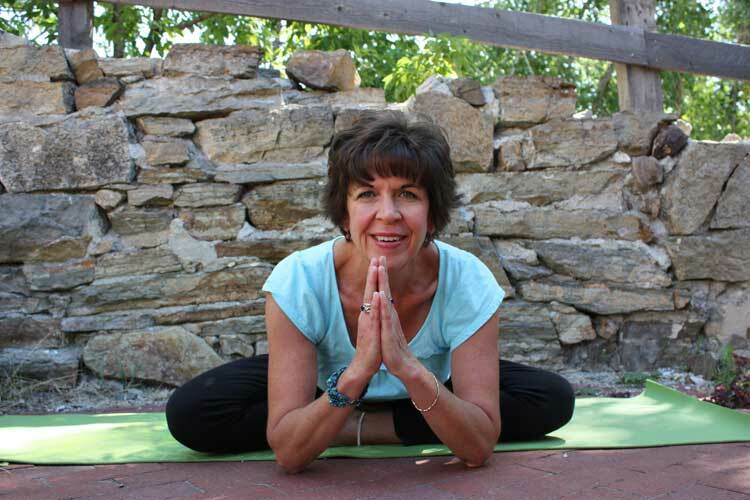 PPam has been a yoga teacher in Great Falls for over 20 years. She is also a certified yoga therapist through the IYT Joseph LePage program for the last 15 years. She works with people facing life with many challenges, including those with cancer, heart disease, M.S., chronic pain, anxiety, depression, PTSD, and brain injury. She also prepares women for childbirth. Pam also carries a Montana massage therapy license and is a cranial sacral therapist, and through these combined practices, she applies her knowledge and passion to help others empower themselves to be a part of their own healing. Her special passion and application of the traditional practices of yoga and advancement and creation of new innovative programs helps others to uncover their own place of peace and healing. Pam has a passion for the studio as safe space for others to heal. My yoga teacher journey began with my completion teacher training in June 2012, though I’ve practiced yoga on & off for the last 25 years. Yoga has given me the means to know myself more deeply on the inside and the out. I love to share what I learn and bring a lightness & humor to my classes. I am also a Licensed Massage Therapist, having graduated from Big Sky Somatic Institute in July of 2005. Asian Healing Arts classes have allowed me to learn more about the energy of who we all are. My yoga path has taught me that yoga can be integrated into everyone’s life. I’m excited to blend massage therapy and yoga to help bring awareness of the connection between mind, body & spirit. I enjoy witnessing miracles in the garden, biking The Rivers Edge Trail, walking, and practicing yoga outside. “Science of Mind” words inspire me, as do the cats I live I live with. Mindfulness has always been a purposeful goal in my life since I could remember. I have been practicing yoga for about 6 years now. I had practiced yoga on and off for a bit until I found a deep appreciation for my practice. When I walked into a Bikram studio in Virginia, I felt for the first time the healing properties of yoga for my body, as well as the necessity of listening to my body. In these moments of exploring my yoga practice I began to experience the benefits of yoga in my physical body, spirit, mind, and relationships. I expect to be a student all of my life and I believe in teaching from my own practice and knowledge. I want to share all the gifts I have been given with others. I love God and yoga, and I believe yoga serves all people. Graduate of 3B Yoga in Albuquerque, NM. Yoga has been part of my life for more than 20 years. I took my first class at a time of my life when I needed stability, clarity, and focus, and ever since then I have relied on my yoga practice to help keep me healthy in mind, body and spirit. Pam has been my teacher and inspiration for many years, and, because yoga has been such an integral part of my life, I decided I wanted to share yoga’s benefits with others. My favorite place to practice is on the deck of my house on my small farm with my wonderful animal companions nearby and Mother Nature surrounding me … although sunset yoga on the beach at Yachats, Oregon was pretty spectacular, too. That’s the great thing about yoga, you don’t need a gym or even a mat to practice! I teach from the traditional Eight Limbs of Yoga, combined with the dynamic and creative flow of Vinyasa Yoga. It can take a lifetime to find oneself, but it only takes one moment to decide to make a change-to be fully yourself and find your way back to your soul. Come with me on your journey. Graduate of Yoga Psychology Program 2018, Yoga, Psyche, Soul /Vinyasa and Rasa Yoga. 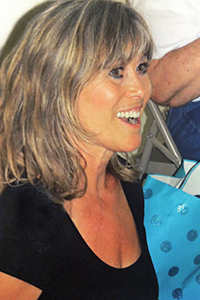 Graduate of Nancy Ruby’s YogaMotion, 2016. The Nia Technique is a holistic practice of moving to music for self healing and increased sensory awareness. Nia incorporates the philosophies and disciplines of martial, dance, and healing arts into a full body fitness workout for all body types. Nia is done bare-foot or in indoor shoes to meet the comfort and health needs of the individual. Mary Papoulis has been teaching Nia classes at the Yoga for Wellness Studio since its inception in 2011. Mary is a certified Blue Belt Nia teacher. Nia is a livelihood practice that she believes can tap into everyone’s need to express and move. She believes the world becomes a happier place with each person who explores their ability to find true Joy of Movement every day! Mary combines her passion for movement and music in her teaching. She is the concertmaster of the Great Falls Symphony and violinist with the Cascade String Quartet. Brie discovered the philosophy of yoga through her favorite poets, the Beats. When she began practicing yoga, she began to discover a more authentic part of her self opening up, becoming bolder and more connected with the world. Wanting to go deeper, she pursued her yoga teaching certification at The Center in Downingtown, PA in 2015, a natural complement to her Master’s in English. Her focus as a teacher is to inspire others to be curious and creative in their bodies, minds, and spirits! Her student-centric classes are an infusion of poetry, meditation, and movement. Bring a journal, bring a friend, bring your Self! See what you discover on your journey. Graduate of The Center (for Yoga), 2015. Audra has been practicing yoga for almost 15 years, and it has been a powerful tool for restoration and revival of mind, body and spirit. What started as a path to self- healing, her teacher training resulted in a deep passion for helping others find restoration and renewal. She has a particular interest in helping people re-pattern movement to prevent or continue to heal from past injury. Audra is passionate about wellness through movement, particularly yoga, eating good food, building community, and being in wild places. Graduate Nancy Ruby’s Yogamotion, 2016.